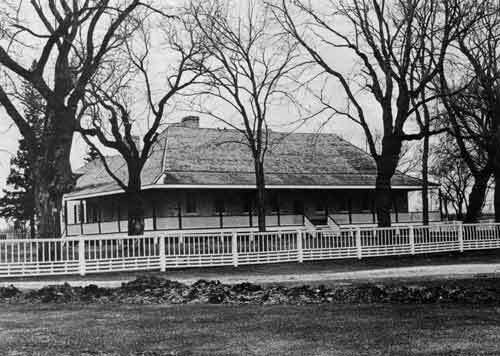 A visitor to the Big House and Lower Fort Garry today is quickly transported back to the year 1850, when the fort was in its heyday as the administrative headquarters of the Governor of Assiniboia. The life and times of Red River are brought alive not only by guides impersonating the occupants of the fort, but by the re-enactment of the trial of Foss versus Pelly et. al. which took place in July 1850. This sensational trial, which had serious repercussions for the elite of Red River, also significantly illuminates the position of women in the fur trade society of mid-nineteenth century Manitoba. The trial focused on the character of one of the most socially-prominent women in the community, Sarah Ballenden, the native wife of the chief factor in charge of the Hudson’s Bay Company’s Red River district. Her fate provides insight into the operation of the sexual double standard of Victorian societyto retain social standing a woman had to be free of any hint of impropriety. That Mrs. Ballendon was guilty of adultery as her slanderers charged was never actually proved; yet her reputation, indeed, her life was ruined. Her supposed lover, Captain Foss, in attempting to clear her reputation by suing her accusers for defamatory conspiracy, may unwittingly have sealed her demise, for such “a stain” once publicly attached to a woman’s character “could not easily be washed off”  and the community was henceforth primed to believe the worst. Other important themes for women’s history also emerge. In examining the circumstances surrounding the trial, it is apparent that certain other women were among Sarah Ballenden’s chief accusers. Paradoxically, although patriarchal mores have often victimized women, women themselves can often be seen to have staunchly upheld these norms and to have been most anxious to see any violation punished. The reasons for such “unsisterly” action should be confronted squarely by feminist historians; cases such as the Foss-Pelly scandal reveal that such behaviour was rooted in women’s social and economic entrapment in marriage. The rivalry among women in nineteenth century Red River, however, was compounded by the issue of race. Certainly in Red River, the centre of “civilization” in Rupert’s Land, church marriage had replaced the fur trade custom of marriage a la facon du pays by the early 1830s. By this time too, the missionaries’ establishment of schools in the colony increasingly reflected the fur traders’ concern to have their children acculturated to the norms of British society. Company officers emphasized that when they sent their daughters to boarding school in Red River, they wanted them to acquire the accomplishments of ladies, such as music, drawing and dancing, and their virtue was to be closely safeguarded. Such a genteel upbringing it was hoped would enable these young women to overcome the taint of their mixed-blood and enhance their marriageability in the eyes of young officers coming into the Company’s service. Both Ann Cockran, and later Mary Jones, whose husband established the Red River Academy in 1832, supervised the education of fur traders’ daughters, some of whom were sent from the far corners of Rupert’s Land. Mrs. Christie, on the other hand, was delighted to resume her position as Governor’s lady when her husband was reappointed in 1844. Anxious that native women not be out-done, she was instrumental in promoting a match between her daughter Margaret, who had been educated in England, and Company officer John Black the following year. While some of Black’s contemporaries expressed surprise that he should have been “caught in that quarter,” his wife considered that her marriage had sealed her position within the elite and was inclined to think herself “far above the rest of the native Ladies.”  A woman’s social standing was, however, determined not on her own account but by her husband’s position. Thus in 1848, when the Ballendens took up residence at Upper Fort Garry, it was Sarah Ballenden, not Margaret Black, who was the highest ranking native woman in the fort. Annie Ballenden. It was said she looked much like her mother, Sarah. Whatever the case, Sarah Ballenden paid a heavy price. She became a social outcast, her reputation ruined. According to the double standard of British morality, it was women who must uphold the sexual purity of society and any deviation must be punished. Ironically, the mixed-blood woman’s strongest condemnation came not from men but from other women. In this situation the women behaved in a petty and vindictive manner; yet ultimately they were more deserving of pity than censure. Their actions stemmed in large measure from their being reduced to a precarious dependency on male protectors and, unlike the men, they were locked into a marital system which gave them no autonomous way of establishing their status or worth. The racism evinced by white women in Red River, while as inexcusable as that of their male counterparts, was aggravated by what, in their view, was a concrete threat to their own welfare in the competition for eligible husbands. While not all incoming Company officers in the 1850s followed Campbell’s example of marrying a British woman, those who continued to marry “daughters of the country” restricted their choice to highly-acculturated daughters of wealthy Hudson’s Bay families who studiously endeavoured to disassociate themselves from their native heritage. Certainly by the post-1870 period, the mixed marriage which had been a central part of the fabric of Red River society had become an increasingly peripheral phenomenon. 1. Public Archives of Canada (PAC), James Hargrave Correspondence, vol. 7, p. 1716, Duncan Finlayson to Hargrave, 12 August 1839. 2. For a detailed discussion of the role played by native women in the development of fur trade society, see Sylvia Van Kirk, “Many Tender Ties”: Women in Fur Trade Society in Western Canada 1670-1870 (Winnipeg: Watson & Dwyer, 1980), chs. 1-6. 3. Hudson’s Bay Company Archives (HBCA), D.5131, f. 247, James Bird to Gov. Simpson, 8 August 1851. 4. HBCA, B.1351c/2. f. 64d, G. Simpson to J. G. McTavish, 10 April 1831. 5. HBCA, Ermatinger Correspondence, Copy 23, f. 271, W. Sinclair to E. Ermatinger, 18 August 1831. 6. HBCA, B.1351c12. f. 106, Simpson to McTavish, 29 June 1833. 7. HBCA, E.4116, f. 243, Register of Marriages; Copy of Will of John Thomas, Sr. (1822). In several sources, Anne Christie has been incorrectly identified as the daughter of HBC Governor Thomas Thomas. 8. See Van Kirk, “Many Tender Ties”, pp. 153-158, 165. 10. The identity of Alexander Roderick McLeod’s wife has not been discovered. In the papers relating to his estate she is described as “an Indian Woman of the half breed Caste”, see HBCA, A.36110, f. 18; Provincial Archives of Manitoba, Records of the General Quarterly Court of Assiniboia, “Foss vs. Pelly et. al., 16-18 July 1850,” p. 203. 11. G. P. de T. Glazebrook, ed., The Hargrave Correspondence, 1821-1843 (Toronto: Champlain Society, vol. 24, 1938), pp. 249-50; H.B.C.A., E.411b, f. 248d, Register of Marriages; Chief Factor John Stuart who acted as Sarah’s guardian gave his consent to the marriage (HBCA, D.5114, f.275) and the bride received a dowry of £350 from her father (H.B.C.A., D.5112, fos. 243-244). 12. PAC, Hargrave Correspondence. vol. 23, letterbook 14, Hargrave to Mrs. T. Isbister, 28 May 1839 and letterbook 15, Hargrave to J. Ballenden, 7 September 1839. 13. Ibid., vol. 8, p. 1891, Ballenden to Hargrave, 30 January 1841. 14. Public Record Office, England, Prob. 11, 2257, f. 667, Will of John Ballenden (1854). 15. See Van Kirk, “Many Tender Ties”, pp. 189-90. 16. Glenbow Foundation Archives, Calgary, James Sutherland Papers, Jas. Sutherland to John Sutherland, 7 August 1838. 17. PAC, Hargrave Correspondence, vol. 8, p. 2193, Finlayson to Hargrave, 18 December 1841. 18. HBCA, D.519, f.373d. D. Finlayson to Simpson, 18 December 1843. 19. Ibid., D.5113, fos. 395d-96, Finlayson to Simpson, 8 April 1845; Provincial Archives of British Columbia (PABC), Donald Ross Papers, John McBeath to Donald Ross, 6 August 1850. 20. HBCA, D.5129, f. 422, Ballenden to Simpson, 30 December 1850; Public Archives of Manitoba (PAM), “Foss vs. Pelly”, p. 218. 21. PAC, Hargrave Correspondence, vol. 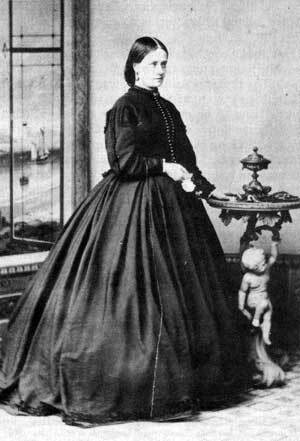 27, Letitia Hargrave to Flora Mactavish, 1 June 1850. 22. PAM, “Foss vs. Pelly”, pp. 202-203. 23. HBCA, D.5123, f. 383, Ballenden to Simpson, 29 November 1848. For further information on Captain Foss and his relations with the Hudson’s Bay Company, see E. E. Rich, ed., Eden Colvile’s Letters, 1849-52 (London: H.B.R.S., vol. 19, 1956). 24. PABC, D. Ross Papers, Wm. Todd to Donald Ross, 20 July 1850. 25. PAM, “Foss vs. Pelly”, pp. 185-86, 203. 26. Margaret A. MacLeod, ed., The Letters of Letitia Hargrave (Toronto: Champlain Society, vol. 28, 1947), p. 247. 27. PABC, D. Ross Papers, Robert Clouston to Donald Ross, 29 June 1849. 28. HBCA, D.5130, f. 206, Adam Thom to Simpson, 5 February 1851. 29. MacLeod, Letitia’s Letters, p. 247; see also P.A.C., Hargrave Correspondence, vol. 27, Letitia to her mother, 14 December 1851. 30. PABC, D. Ross Papers, A. E. Pelly to D. Ross, 1 August 1850; P.A.M., “Foss vs. Pelly”, pp. 185, 196. 31. Ibid., pp. 183, 193, 213-14. 32. PAC, Hargrave Correspondence, vol. 15, p. 4533, Wm. Todd to Hargrave, 13 July 1850 and p. 4581, John Black to Hargrave, 6 August 1850; PAM, “Foss vs. Pelly”, p. 187; MacLeod, Letitia’s Letters, p. 255. 33. PAM, “Foss vs. Pelly”, p. 207. 34. HBCA, A.1215, fos. 178-179, Memo for Gov. Simpson. 35. PAM, “Foss vs. Pelly”, pp. 199-202. 36. Charges were also to have been laid against the Blacks but these were dropped (MacLeod, Letitia’s Letters, p. 255); PAM, “Foss vs. Telly”, p. 181. 37. HBCA, D.4171, fos. 265-266d, Simpson to J. Black, 18 December 1850. 38. PABC, D. Ross Papers, J. Ballenden to Ross, 1 August 1850; HBCA, D.5128, f. 437d, Adam Thom to Simpson, 15 August 1850. 39. Foss never actually collected the £100 from Davidson, maintaining that it was the principle not the money he was really interested in (“Foss vs. Pelly”, p. 181). 40. PABC, D. Ross Papers, R. Clouston to Ross, 17 December 1850. 41. MacLeod, Letitia’s Letters, p. 256. 42. PABC, D. Ross Papers, R. Clouston to Ross, 28 September 1850. 43. Rich, Colvile’s Letters, p. 193. 46. This Donald McKenzie had been a lesser officer in the service of the Hudson’s Bay Company; he was married to a half-breed woman, Matilda Bruce. 47. Rich, Colvile’s Letters, 195, 197. The published version mistakenly reads Jane instead of Lane. 50. HBCA, D.5130, fos. 47-53, John Black to Simpson, 8 January 1851 and f. 203, Adam Thom to Simpson, 5 February 1851. 51. University of British Columbia Archives (UBCA), W. D. Lane Papers, Folder 1, letter 12, A. G. B. Bannatyne to Lane, 9 January 1851. Colvile (p. 204) states that Mrs. Ballenden went to live at one Cunninghame’s; this was likely the home of one of the married daughters of Alexander Ross by that name. 52. Rich, Colvile’s Letters, pp. 204, 210. 53. Will of John Ballenden; UBCA, Lane Papers, Bannatyne to Lane, Monday evening, “Poor Aunt has got a son yesterday morning about 7 o’clock”. Like many of the notes between Bannatyne and Lane, this one is not dated, but from other evidence it can be established that it was written on 16 June 1851. 54. Rich, Colvile’s Letters, p. 65. 55. HBCA, D.5131, f. 143d, Black to Simpson, 26 July 1851. 56. Ibid., D.5132, f. 323, Ballenden to Simpson, 5 December 1851. 57. Ibid., D.5131, f. 206, A. Ross to Simpson, 1 August 1851. 58. PABC, D. Ross Papers, G. Barnston to Ross, 22 July 1852. 59. UBCA, Lane Papers, Folder 1, letter 15, Sarah Ballenden to W. D. Lane, 20 July 1852. 60. HBCA, D.4174, f. 212, Simpson to A. McDermot, Feb. 6, 1854; W. J. Healy, Women of Red River (Winnipeg, 1923), p. 195. 61. HBCA, D.5131, f. 206, A. Ross to Simpson, 1 August 1851. 62. MacLeod, Letitia’s Letters, p. 247. 63. PAM, “Foss vs. Pelly”, p. 207. 64. PABC, Ross Papers, Wm. Todd to Ross, 20 July 1850. 65. PAM, “Foss vs. Pelly”, p. p. 187. 66. HBCA, D.5137, fos. 458-59, Robert Campbell to Simpson, 31 August 1853.